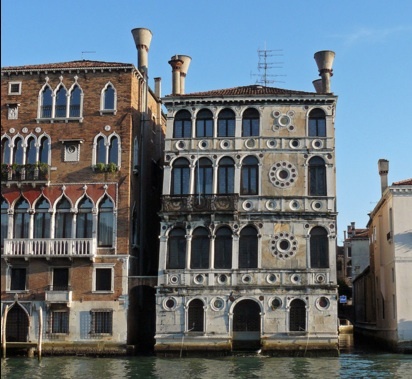 Built in the 15th century and remodelled in the style of Pietro Lombardo, with colourful marble oculi on the facade, this picturesque palazzo on the Grand Canal and Campiello Barbaro was much appreciated by John Ruskin and Claude Monet, who painted it several times during his 1908 sojourn in Venice. The locals, however, call it the 'house of no return'. Since it was built, all the owners or their families have suffered calamaties; 15 died suddenly under mysterious circumstances, a few had serious accidents and five went bankrupt. The curse even hit one of the palazzo's recent owners, Kit Lambert, the manager of The Who, who was romantically linked with Peggy Guggenheim in the palazzo next door and who died suddenly at age 45 when he fell down the stairs at his mother's house.